We eat salmon a lot at this house. Everyone loves it, however we always stick with the same recipe – teriyaki salmon on the grill. It’s great, but I really wanted to change it up. This time I wanted to bake it. I wanted some strong flavors to come through so I decided to include some Dijon mustard, a little honey, and some breadcrumbs. How can you go wrong with that? The end result was pretty amazing and the family agreed. 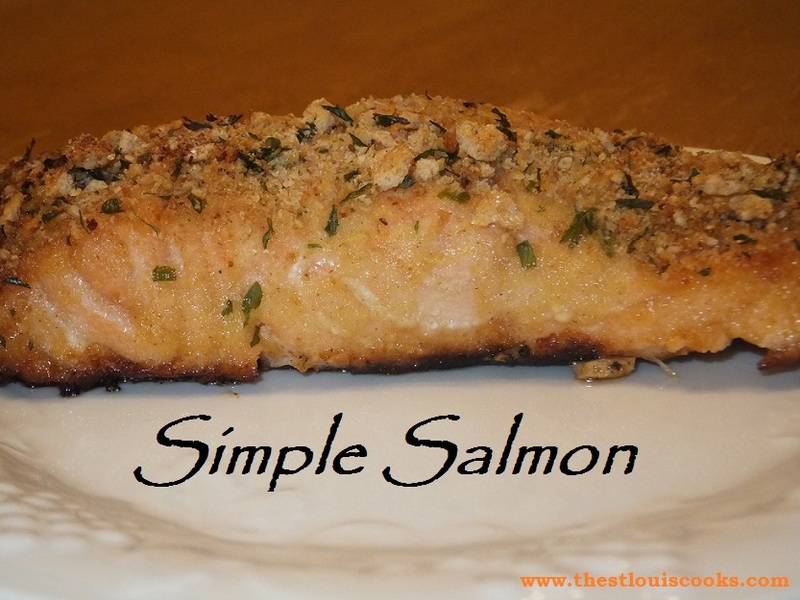 This will be another “go to” recipe for salmon at this household. Plus, it is super simple to prepare. Preheat oven to 400 degrees. Line a shallow baking pan with foil. In a small bowl, stir together the melted butter, Dijon mustard, and honey. In another bowl, stir together the breadcrumbs and parsley. For the breadcrumbs, get creative and use what you have a home. That’s what I did when I put this together. The homemade crushed breadcrumbs really add a lot of extra flavor and texture. Brush each salmon fillet with the Dijon mixture. Then place on the foil lined pan. Sprinkle each fillet with the breadcrumbs. Bake the salmon for 12-16 minutes in preheated oven. Season with salt and pepper. You can garnish with a lemon wedge if you prefer. On this particular evening, I didn’t cook. My husband and my 11-year-old daughter took care of everything. They decided to use our Costco thick cut pork chops and stuff them. We’ve never stuffed pork chops at this house. We usually buy them already stuffed from our local meat market, Kenricks, however this time they decided to make some Sievers stuffed chops home-made. 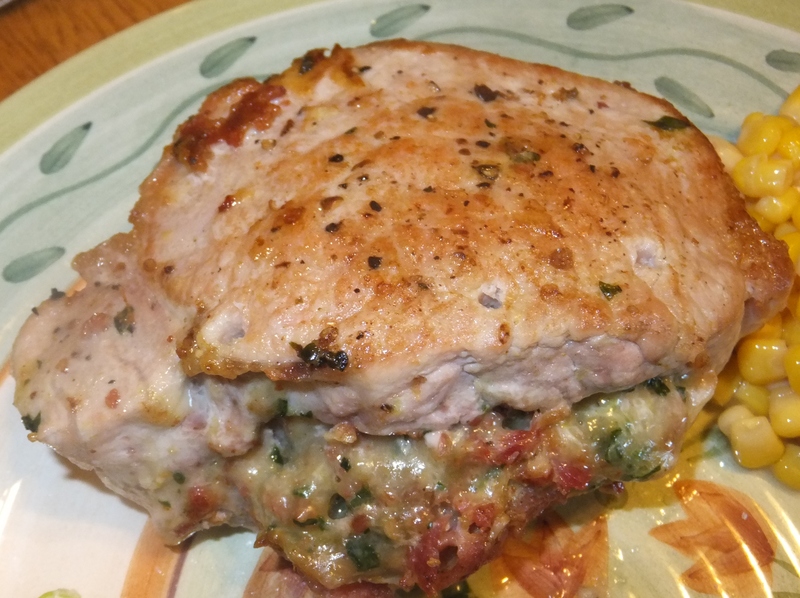 These pork chops are my favorite recipe of 2014 thus far! 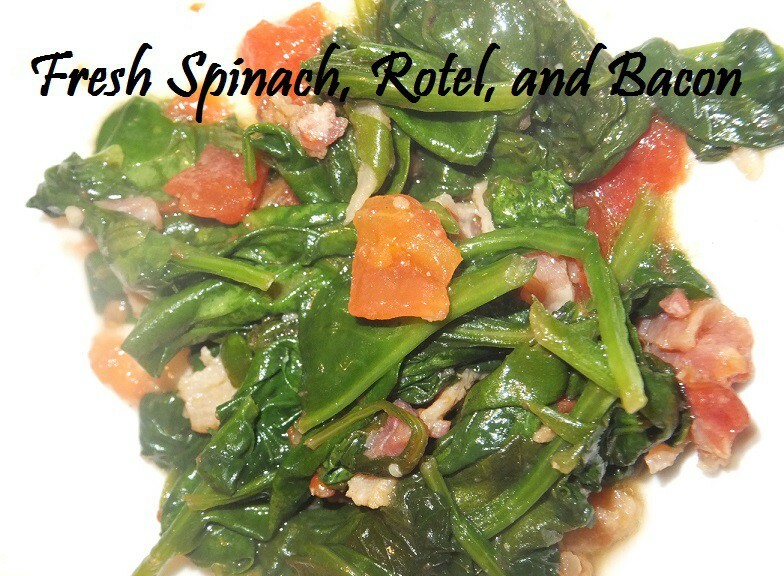 If you like gouda cheese, bacon, and spinach, then this recipe is a must. Wow, it was absolutely delicious. Begin by preparing the stuffing. Add the shredded gouda cheese, chopped bacon, and fresh chopped spinach to a medium bowl and mix together. Add salt and pepper for taste. Set aside. Preheat oven to 400 degrees. Coat a 9×13 inch pan with cooking spray. Lay each chop flat on a cutting board. 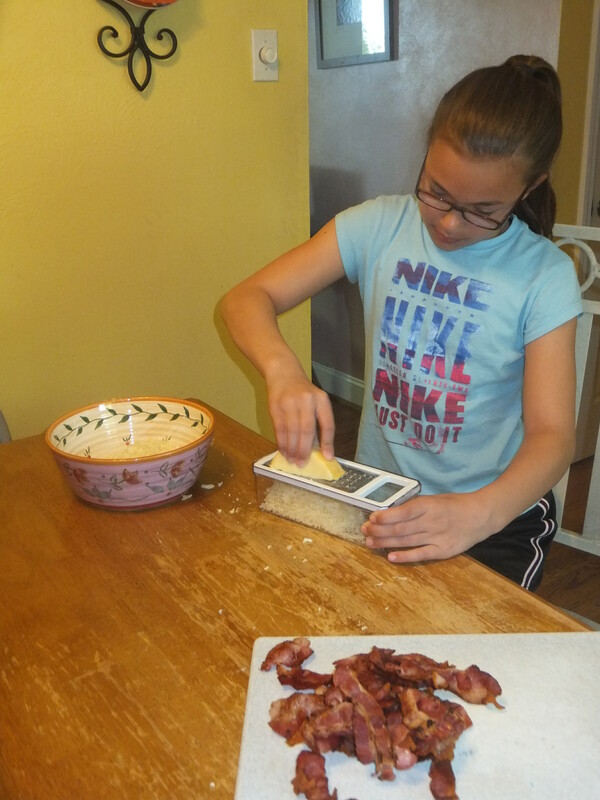 With a sharp knife held parallel to the cutting board, cut a pocket into the pork leaving three sides in tact. Stuff each chop with the mixture. 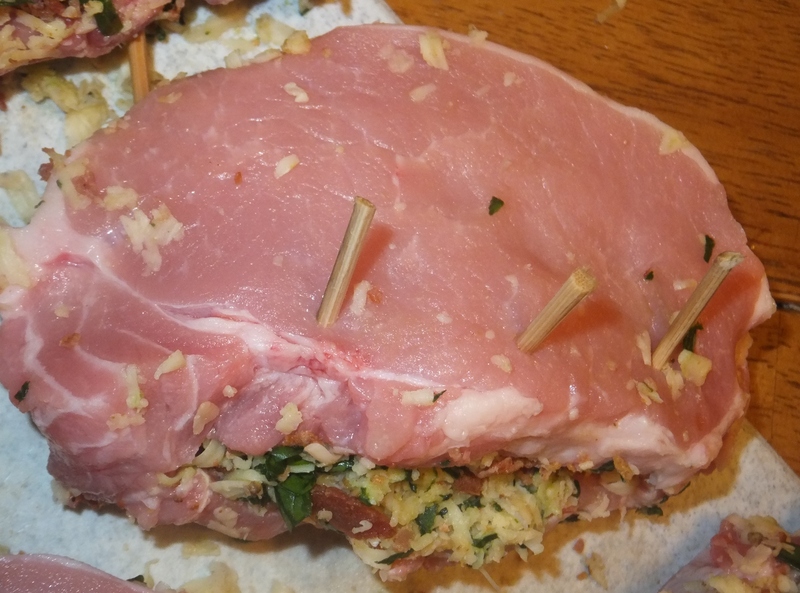 Sticks or small skewers can be used to keep stuffing together. Lightly salt and pepper each chop. In a large skillet, heat olive oil on medium to high heat. Brown pork chops on each side. Then add them to the 9×13 baking dish. Bake in preheated oven for approximately 30 minutes or until meat reaches correct internal temperature. We love smoothies in the summer time. Heck, we like them all the time. 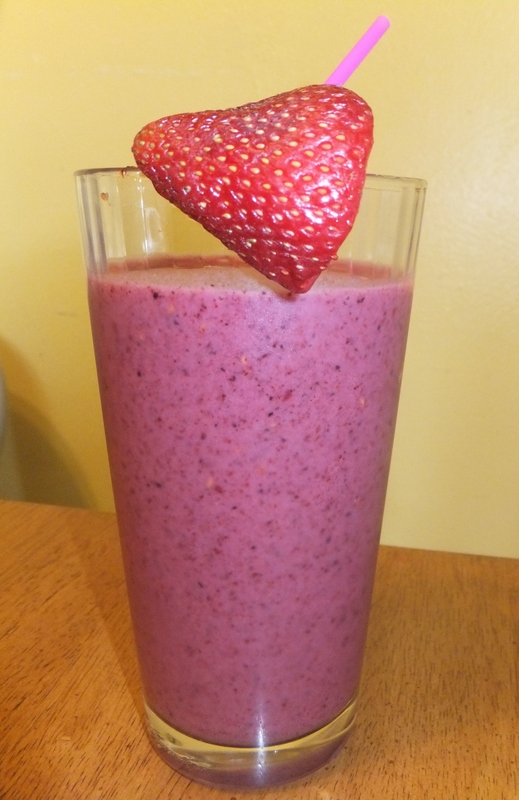 There are so many different types of smoothie recipes out there, but this first one is my absolute favorite. I always have all the ingredients in the kitchen. Yogurt is always in the fridge and Costco‘s Kirkland Frozen Three Berries or any other frozen berry variety. My best recommendation is to double the recipes. Blend all ingredients for 30 seconds to make 2 healthy servings. Yummy! 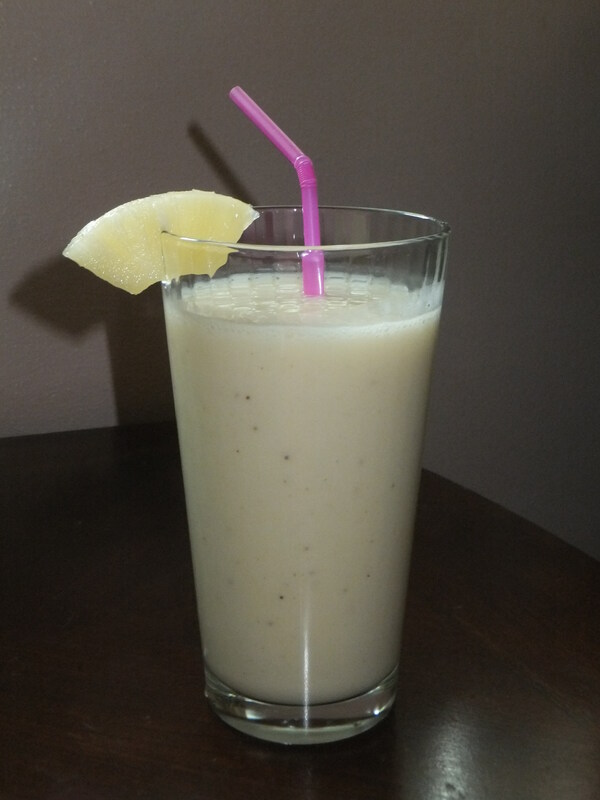 The beautiful thing about smoothies is you can get creative, try different flavors, use what you have at home and enjoy!